Every so often you get to meet a hungry driven person who is destined for greatness. You can see it in their eyes that they love hustling and are driven. We got to meet such a person not so long ago. 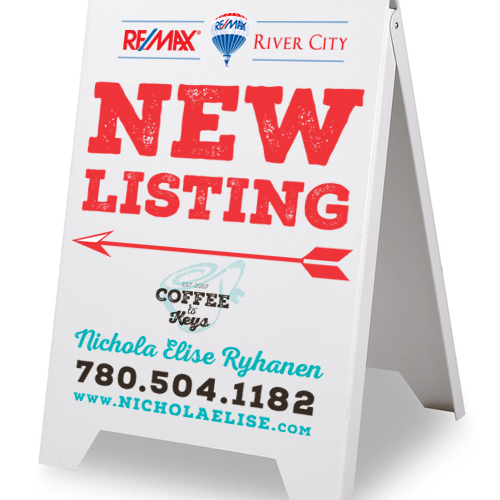 Nichola is a young Realtor® who wants to do more. She was tired of being like the other 90% of agents in Edmonton and wanted to stand out. Through a friend of ours we were introduced and we got to chat with her over a coffee. During this intense 1 hour, we were inspired by her hunger and drive. 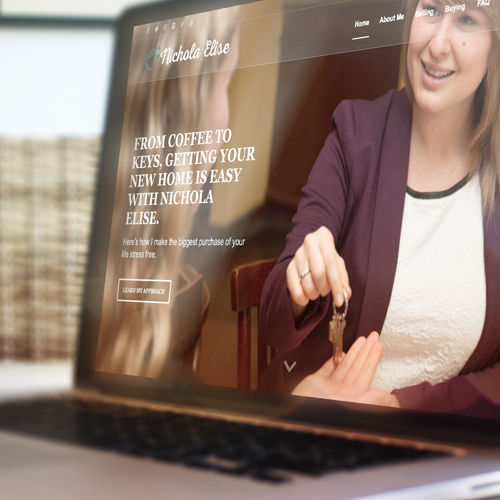 Nichola wanted to build off her success as a new real estate agent. This level-headed woman desired to become a personal brand. She wanted to be recognized as the face of the real estate transaction- not her broker. 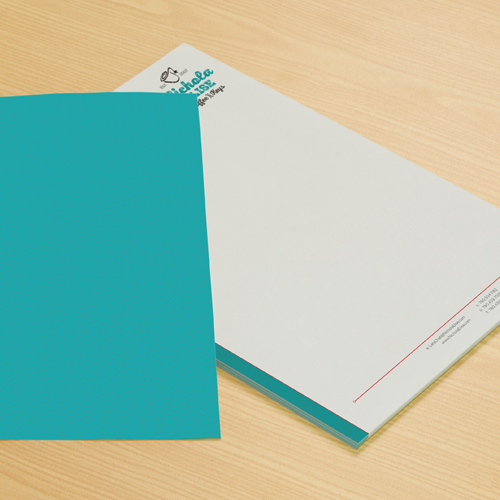 Nichola wanted a unique logo that expressed who she was and wanted it complimented with supporting materials. After chatting with her for over an hour, we had a pretty good idea the direction we were going. During our talk Nichola mentioned of a process she developed and labeled it her ‘coffee to keys approach’. This resonated with us and planted some cool ideas in our heads. As we were researching we found some interesting facts. The beautiful thing about real estate agents is that there is a very small percentage of them that brand themselves well. Even fewer have a distinct identity complimented with a logo and unified marketing. So we knew we had a wide open playing field where she could stand out above the rest of her colleagues. When we were exploring ideas for her logo, we quickly knew that it needed a gestural approach. The lines needed to be relaxed. The movement smooth. We then pulled out our stylus and tablet to come up with a drawing of a coffee cup that embodied the emotions we were looking for. The logo begins with the swirl. The swirl is a reimagined symbol for ‘homecoming’ that quickly forms into the key handle. The antique key design brings a touch of nostalgia and warmth to the logo, that exemplifies her ‘coffee to keys’ tagline. We then added a wonderful typeface NexaRust to give her a down-to-earth inviting feel. The wonderful thing about this logo is that we created it without the distressed look. As Nichola’s brand grows and her target audience shifts, she can easily remove the distressed look to create a more sophisticated logo. Pairing it with a sans-serif typeface will give her versatility for years to come. 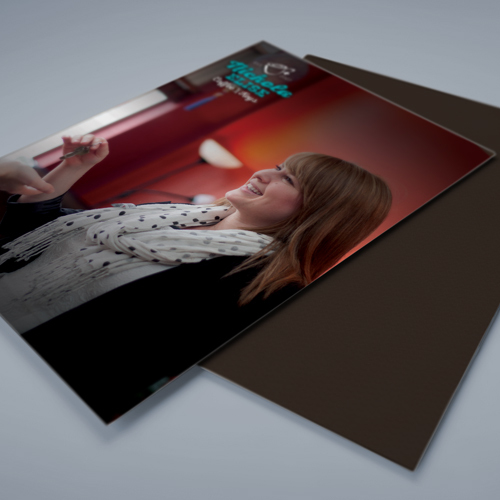 We then worked with Nichola’s photographer to create a set of images that captured the process. Setting Nichola in coffee shops reinforces her ‘coffee to keys’ approach. 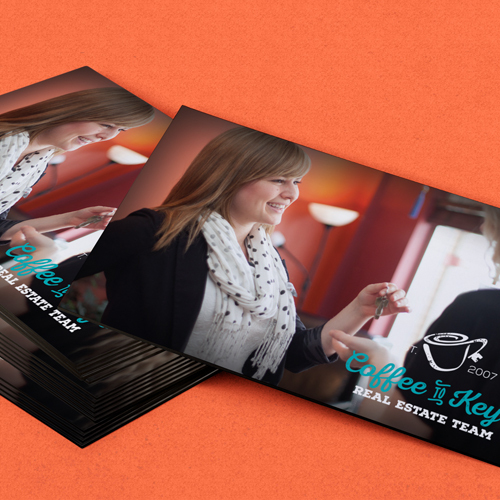 Combining the photos and new identity we made work on her website with the help of Nyche Marketing. 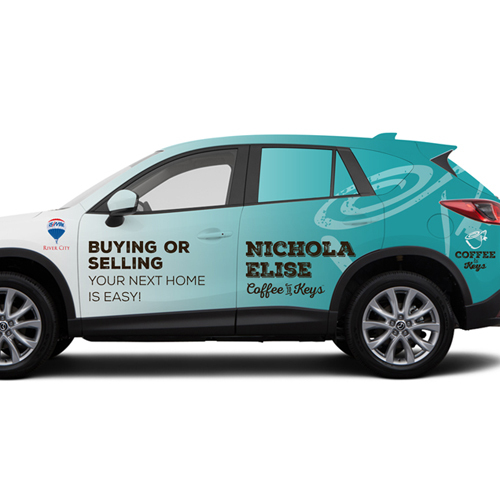 We wanted people to get to now Nichola personally because the process of selecting a Realtor® is mostly based on the characteristics of the agent. Will they be a good fit for the person wanting to buy or sell a home? Lastly, we created a set of print materials and a vehicle wrap that helps her spread brand awareness. The eye catching designs have set her a part from her colleagues. Dennis prepared insightful questions and better yet, really listened when I answered them, he even took notes! Which only shows his true dedication to giving his clients exactly what they want. When the process hit some bumps Dennis was there to help me to make sure that I was satisfied and the product we had orders from outside sources were 100%. Anyone who has ever built a brand and gone through this process knows that your heart and soul is invested the entire tie. It is priceless to have someone like Dennis who is just as invested as you are. Want my help to build your brand?